WHEN police told Andrew Reddich that his son, Ben had gone missing in the Brisbane River, he had trouble grasping the situation. "As soon as the police arrived at my house I expected the worst. My first thought was that Ben had died in a car accident or something," he said. "When they said he was missing, a part of me was actually relieved, I thought, 'well let's just go find him then'." As police explained the situation though, Mr Reddich suddenly realised his worst fears had indeed come true. 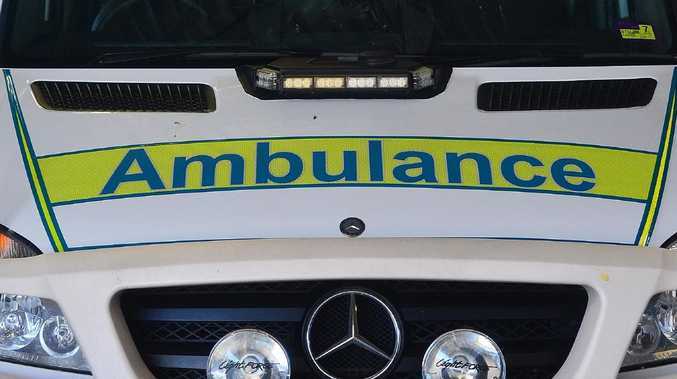 His 21-year-old son had gone into the river at Karana Downs on October 19 to fetch a soccer ball when he did not resurface. "I couldn't believe it," Mr Reddich said. "My son was a personal fitness trainer and in top physical condition. "He could bent-over row 150kg and was a strong swimmer so I couldn't accept he'd drowned." When he and his family drove to the scene of the incident at Kookaburra Park later that night, the cold reality of it all set in. After a non-stop 70-hour search, police and SES crews found Ben's body in the river, about one nautical mile from where he went missing. Mr Reddich said it was still unclear as to how his son died. "As far as the coroner was concerned, Ben was as fit as a bull, all his organs were functioning perfectly at the time of the incident," he said. "He may have got snagged on something beneath the water or got a swimming cramp - I'm not sure - it was a freak accident." Since the tragedy, the father of three said there had been a whirlwind of tributes to Ben. "I've been gobsmacked by the amount of people who have expressed their heartache and disbelief at Ben's drowning via social media," he said. "My phone has almost self-destructed with endless calls and text messages, some from people as far away as London and the US." The 46-year-old said the outpouring of emotion at Ben's death was a testament to his son's infectious personality, kind heart and selfless nature. "He was a true gentleman who would always make himself available to help others out," he said. Those qualities shone through in his work as a personal trainer at BST Gym in Rocklea. 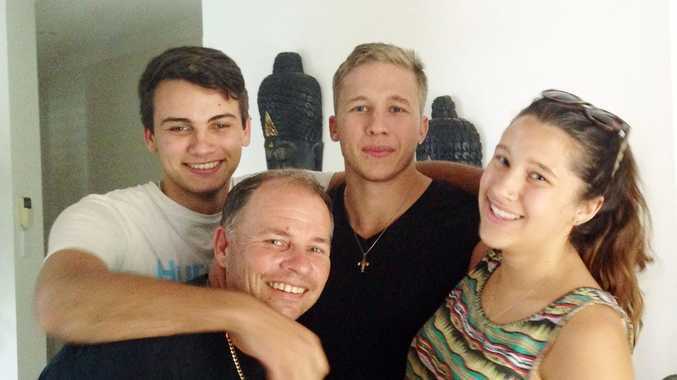 After Ben's death, Mr Reddich said a group workout session was spontaneously held at the gym in honour of his son and saw dozens of people attend. "It took me about 30 minutes just to get through the doors because there were so many people who wanted to express their grief," he said. "Some of the people had been clients of Ben and said my son had inspired them to change their lives for the better." Numerous clubs and organisations - both nationally and globally - have also paid homage to Ben in various ways. Ben's success as a trainer was mirrored in his success as a body-builder where the young fitness fanatic shone on stage in numerous competitions. Mr Reddich said he was always in awe of his son's discipline and dedication to body building and that Ben was on his way to a promising career in the sport. He said Ben had celebrated his 21st birthday two weeks before his sudden death. "I'll always miss him, we had a strong father-son connection. Ben was my heart and my soul and my everything," he said.